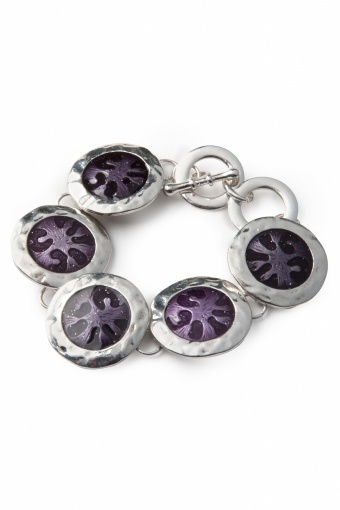 Extravagant Purple Blots bracelet silver. 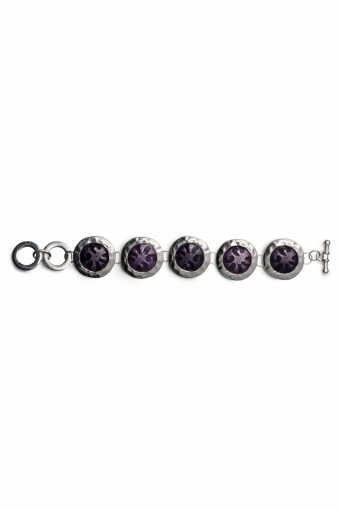 This bracelet in shiny silver toned metal is a real looker! The five connected circles are transparantly enamelled in a mysterious purple tone and allows the spots to shine through nice and subtle.